Justice Integrity Report - Should House Impeach Trump If He Launches Unconstitutional Wars? 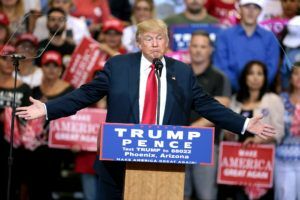 Should House Impeach Trump If He Launches Unconstitutional Wars? U.S. House members should pledge to impeach the incoming President Trump if he starts any new wars in office without first complying with the U.S. Constitution’s requirement of a congressional declaration of war, according a non-partisan civic group that announced its plan last week. Committee for the Republic leaders identified Virginia, Ohio and Iowa as the first three states where organizers plan to rally public opinion behind a pledge by their representatives to impeach if the Executive Branch launches new "wars," which would be narrowly defined to include covert advisors and major arms supply creating new conflicts defined as war. Former U.S. Ambassador to Saudi Arabia Charles “Chas” Freeman, Jr. announced the grassroots campaign on Jan. 5 at the Metropolitan Club, located about a block from the White House. “Thirteen years ago George W. Bush invaded Iraq without a congressional declaration of war,” he said. “Our nation is now mired in nine ongoing presidential wars,” continued Freeman, chairman and a co-founder of the committee in 2003. “They have cost nearly ten trillion dollars; starved our infrastructure; crippled our liberties; and multiplied and united our enemies. “They have also enabled the growth of apparently limitless presidential power to play prosecutor, judge, jury, and executioner to kill any American the President decrees is an imminent national security danger based on secret, unsubstantiated evidence,” said Freeman (shown in a file photo). Speakers at the campaign launch stressed that their initiative was not an attempt to thwart Trump but was intended instead to stop a long term erosion of Constitutional checks and balances on Executive Branch power. Freeman, whose three decades of defense and diplomacy posts included high-level positions under both Republicans and Democrats, was the first of committee board members voicing strong support. Most provided compelling personal biographical reasons about why they had reached such a momentous decision as to push for a pledge. 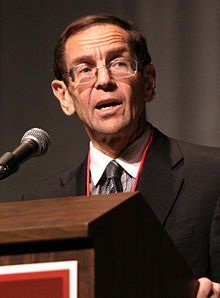 Other speakers included constitutional law expert, attorney and former Reagan administration FCC counsel Bruce Fein; Washington, D.C., Tea Party Founder Tom Whitmore; lawyer and former Reagan Administration Defense Department Assistant Secretary for Manpower Delbert Spurlock; and investment adviser John Henry. 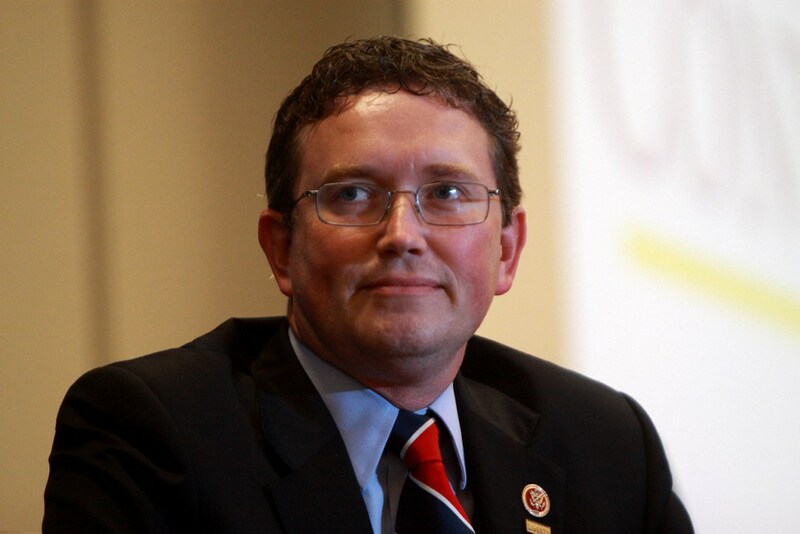 U.S. Rep. Thomas Massie (R-Ky.) also spoke passionately about a need for constituents to hold House members accountable and to help impose limits on Executive Power, including to declare war. But Massie said he would have to study the impeachment pledge for agreeing to it. Massie said U.S. House members should pledge to impeach the incoming President Trump if he starts any new wars without following the U.S. Constitution’s requirement to seek a congressional declaration of war. Since 2003, the Committee for the Republic has held 130 conferences (termed "salons") according to the group, whose board of directors is shown below. “The time for talk alone has expired,” its announcement said. “Unconstitutional wars continue to feed dysfunction in government and to corrode liberty in the United States. They turn children into orphans, wives into widows, husbands into widowers, and families into refugees, while provoking terrorist blowback. The Committee's Board of Directors believes that patriotism demands making the Constitution in general and the warfare state in particular the battleground of national politics. It proposes to devote the Committee's January 5 salon to elaborating a proposal to do this and to encourage past and future participants in Committee activities to attend this salon and to contribute as best you can to realizing the resulting proposal. It is past time to restore a decent respect for the Constitution and the opinions of humankind to the conduct of US foreign relations. The starting point for the speakers was the requirement in the Constitution contained in Article 1, Section 8, Clause 11: "The Congress shall have Power... To declare War." Fein (shown in a file photo) said "The White House controls more power over us than King George did over the colonists." Henry said his birthplace in Massachusetts near Revolutionary War sites and his study of the Vietnam War's costs encouraged him to undertake lifelong study of the constitutionality and cost-benefit analyses of wars. Whitmore, a retired cabinet maker from Manassas, Va., protested the waste of wars in lives, dollars and lost opportunities. "More than 20 veterans a day commit suicide as a result of PTSD [post-traumatic stress syndrome]" he said. Whitmore will draw on his Tea Party organizational experience to lead grassroots organizing for the pledge initiative, including in Virginia's heavily Republican congressional delegation. Contributions or pledges to volunteer may be made through the committee's site. Spurlock, a native of Ohio who focused on youth training under Reagan's California governorship and then at the Defense Department, said the public has an obligation to enforce constitutional protections for the military. That's true, he continued, even in the era of an all-volunteer armed forces. Spurlock said the military has in effect taken the place of private sector apprenticeship programs that have been disappearing, thereby foreclosing many of the previous private sector job opportunities for young people. He is shown in a file photo. Massie, a vigorous advocate of accountability for officials who was elected to Congress on a Tea Party platform, showed his sympathy for the group in several ways. One was his description of how constituent pressure stopped Congress from providing the Obama administration with a de facto mandate to go to war against Syria in August 2013. He said many members of Congress in both parties were initially inclined to concur with the administration's request for stepped-up military action under what is known as the AUMF (Authorization for Military Force Against Terrorists), which Congress passed after the 9/11 attacks -- even though that authorization was supposed to be used only against perpetrators of the attacks and not new enemies, including a government not accused of complicity in the 9/11 attacks. However, Massie said, a spontaneous public protest arose that ran 99-1 against House approval for military action against Syria. That stopped the military escalation effort cold, he said. Massie also described phone calls as by far the most effective means of grassroots advocacy to Congress so long as the phone calls come from within a House member's district. He said a House member's office suite typically has three rooms and everyone in it becomes aware when massive public reaction occurs with phoned-in advocacy. 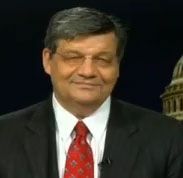 "That's the good news," continued Massie (shown in a screen shot from a video). "Here's the bad news. According to the Washington Post, the president went on to spend a billion dollars a year on the 'secret' war." Massie said congressional staff can track the locality of phone callers and they essentially ignore those that are not from the member's district. 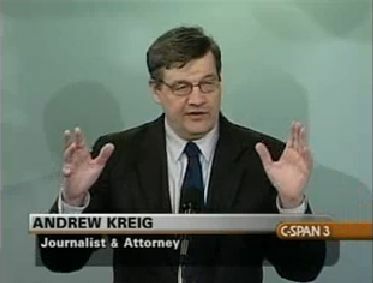 He described letters to an office as often too delayed for full impact on topics that are in the news since letters must be screened off-site for anthrax as a security precaution following the anthrax attacks on two Senate offices shortly after the 9/11 attacks. He said social media might be effective at times as a constituent tool for advocacy but not every member tracks such commentary. He noted that Republican colleague Walter Jones of North Carolina regretted deeply his vote for the Iraq military authorization on erroneous information, and had hoped to be able to join the group that evening. Jones and Massie were each delayed by activity by the new Congress, meeting for the first time last week with new members following the 2016 elections. Despite obvious sympathies that Massie has long shown to the committee's general objectives, he asked for more time for study when one questioner tried to box him in on whether he would take "the pledge" to fight a new war with impeachment. 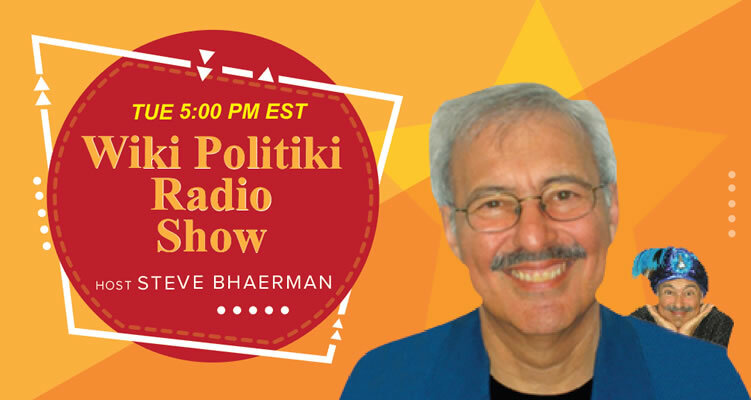 Danger of New Wars by Presidential Fiat or Covert Action? The dangers of new military actions by presidential order or by other means not even necessarily known by a president via covert action were illustrated by the news article headlined Mattis urged Iran strike over U.S. troops' deaths in Iraq published by the Washington Post on its front page Jan. 9, and electronically the previous evening. Reporters Greg Jaffe and Adam Entous described how President Obama removed Gen. James N. Mattis as head of the Defense Department’s Central Command in the Middle East because Mattis pushed repeatedly for attacks on Iran in reprisal for its arms sent to militants in Iraq. 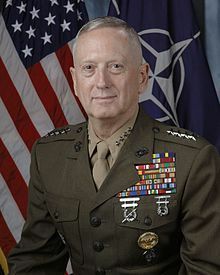 Now, however, Mattis (shown in an official photo) is poised to exert vastly greater influence if confirmed as the Trump administration's Secretary of Defense able to implement Trump's occasional threats on the campaign trail to launch devastating attacks when the White House seems appropriate. "The founders of this group were of disparate political persuasions," he said. "But we shared a fear that the excessive militarization of American foreign policy would threaten constitutional government in our country. Exploration of the impact of promiscuous interventionism on the traditions and civil liberties of our republic has remained the Committee’s core function." Freeman worked as the main interpreter for Richard Nixon during the president's 1972 visit to China. 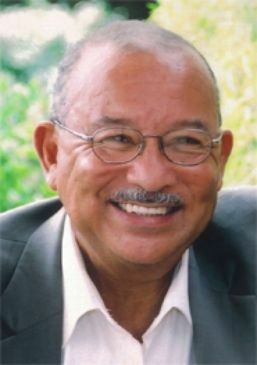 Freeman's tenure as U.S. Ambassador to Saudi Arabia was under President George H.W. Bush from 1989 to 1992, where he served during the crisis of the Persian Gulf War. "I am proud that participation in the Committee has grown as it has," he said. "I am prouder still that our participants have retained our political diversity." The Committee’s members have watched with horror as our political system has evolved to facilitate legislative evasion of accountability for wars and other belligerent activities launched by successive presidents on their own. Our president and members of the House and Senate have all sworn oaths to uphold the Constitution and the laws. We believe they must finally be held to their oaths. Tonight we ask all present to help us organize to re-empower accountable government in the United States. We urge you to insist that members of Congress force the president to comply with our Constitution by living up to their own responsibilities under it. 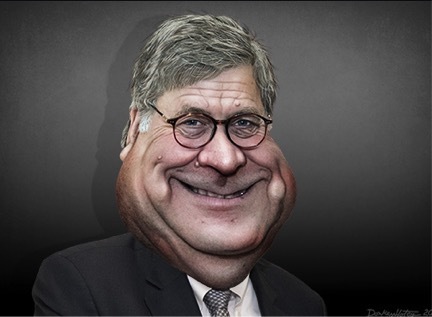 "To preserve our liberties," Freeman concluded, "we must restore constitutional order to the United States, beginning with the restoration of the war power to the Congress, where the Constitution wisely assigns it." Consortium News, The Scheme to Take Down Trump, Daniel Lazare, Jan. 14, 2017. The U.S. intelligence community’s unprecedented assault on an incoming U.S. president – now including spreading salacious rumors – raises questions about how long Donald Trump can hold the White House, says Daniel Lazare. Is a military coup in the works? Or are U.S. intelligence agencies laying the political groundwork for forcing Donald Trump from the presidency because they can’t abide his rejection of a new cold war with Russia? Not long ago, even asking such questions would have marked one as the sort of paranoid nut who believes that lizard people run the government. But no longer. 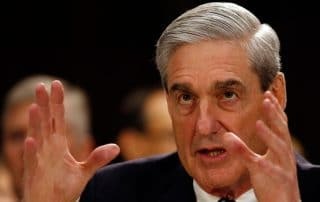 Thanks to the now-notorious 35-page dossier concerning Donald Trump’s alleged sexual improprieties in a Moscow luxury hotel, it’s clear that strange maneuverings are underway in Washington and that no one is quite sure how they will end. 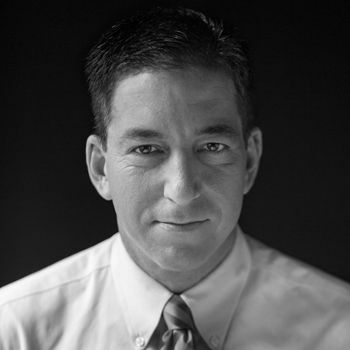 The Intercept, The Deep State Goes to War with President-Elect, Using Unverified Claims, as Democrats Cheer, Glenn Greenwald, Jan. 11, 2017. The serious dangers posed by a Trump presidency are numerous and manifest. There are a wide array of legitimate and effective tactics for combating those threats: from bipartisan congressional coalitions and constitutional legal challenges to citizen uprisings and sustained and aggressive civil disobedience. All of those strategies have periodically proven themselves effective in times of political crisis or authoritarian overreach. 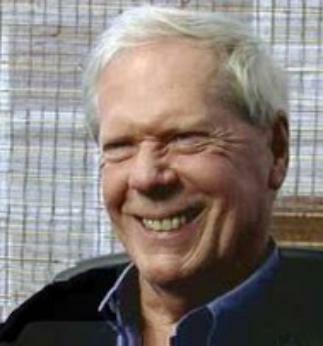 PaulCraigRoberts.org, Obama The War Criminal, Butcherer of Women and Children, Paul Craig Roberts, Jan. 11, 2017. Dr. Roberts (shown in a file photo) is a conservative scholar who was assistant Treasury Secretary during the Reagan administration responsible for certain national securities duties among other things and later associate editor of the Wall Street Journal. There is no doubt that US President Barak Obama is a war criminal, as are his military and intelligence officials and most of the House and Senate. Obama is the first president to keep the US at war for the entirety of his eight-year regime. During 2016 alone, the US dropped 26,171 bombs on wedding parties, funerals, kid’s soccer games, hospitals, schools, people in their homes and walking their streets, and farmers tilling their fields in seven countries: Iraq, Syria, Afghanistan, Libya, Yemen, Somalia and Pakistan. What does the administration have to show for eight years of illegal military interventions in seven countries, none of which comprised a danger to the US and against none of which the US has declared war? Terrorism was created by US invasions, no wars have been won, and the Middle East has been consumed in chaos and destruction. Worldwide hatred of the United States has risen to a record high. The US is now the most despised country on earth. The only purposes of these crimes is to enrich the armaments industry and to advance the insane neoconservative ideology of US world hegemony. A tiny handful of despicable people have been able to destroy the reputation of the United States and murder millions of peoples, sending waves of war refugees to the US and Europe. We call these “wars,” but they are not. They are invasions, largely from the air, but in Afghanistan and Iraq from troops on the ground. The invasions by air and land are entirely based on blatant, transparent lies. The “justifications” for the invasions have changed a dozen times. The questions are: If Trump becomes president, will Washington’s massive crimes against humanity continue? If so, will the rest of the world continue to tolerate Washington’s extraordinary evil? Washington Post, Mattis urged Iran strike over U.S. troops deaths in Iraq, Greg Jaffe and Adam Entous, Jan. 8, 2017. Gen. James Mattis’s falling-out with the Obama administration over Iran offers perspective into how he will lead the world’s largest military as Defense Secretary and the advice he will bring during sensitive Situation Room debates. 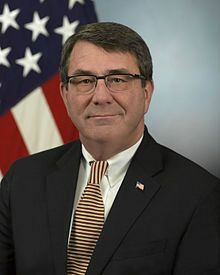 The Iranian-supplied rockets were raining down on Gen. James N. Mattis’s troops throughout the spring and summer of 2011 with greater and greater intensity. Six American soldiers were killed by a volley in eastern Baghdad in early June. A few weeks later, three more Americans died in a similar strike, driving the monthly death toll to 15. It was the worst month for U.S. troops in Iraq in more than two years, and Iran’s proxies were vowing more rockets and more bloodshed. Mattis, shown in an official photo and the top American commander in the Middle East, was determined to send a clear message to Tehran to stop it. His proposal, crafted with the support of the ambassador and the senior American commander in Iraq, was to hit back inside Iran, said current and former senior U.S. officials, who took part in the debate. 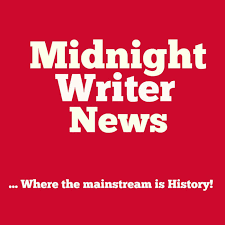 One option was a dead-of-night U.S. strike against an Iranian power plant or oil refinery, said the officials, speaking on the condition of anonymity to discuss sensitive operations. Mattis’s proposals quickly reached the White House, which had a different view of how to curb Iran’s increasingly aggressive behavior. To President Obama, a U.S. strike on Iranian soil would only inflame a volatile situation and widen a conflict that he had promised to end. Others in the White House worried that Mattis’s proposal risked starting yet another war in the Middle East. The battle over how to respond to the mounting American casualties in summer 2011 reflected the deepening divide between the president and his top commander in the Middle East. Now Mattis will play a different role for a new commander in chief. As President-elect Donald Trump’s choice to lead the Pentagon, Mattis will oversee a force of nearly 1.3 million active-duty troops scattered across more than 150 countries. He will serve a president who has questioned the impartiality of America’s intelligence agencies and has moved in often puzzling ways to embrace longtime adversaries, such as Russian President Vladimir Putin. He has emphasized the value of unpredictability over careful deliberation and raw power over diplomacy. OpEdNews, A Case Study in the Creation of False News, Paul Craig Roberts, Jan. 7, 2017. For many weeks, we have witnessed the extraordinary attack by the CIA and its assets in Congress and the media on Donald Trump's election. In an unprecedented effort to delegitimize Trump's election as the product of Russian interference in the election, the CIA, media, senators and representatives have consistently made wild accusations for which they have no evidence. The CIA's message to Trump is clear: Get in line with our agenda, or we are going to mess you over. It is clear that the CIA is warring against Trump. But the CIA's media assets have turned the facts on their head and are blaming Trump for having a negative view of the CIA. Now that the story is Trump taking on the CIA and not the CIA taking on Trump, the case can be built against Trump. Washington Post, Fort Lauderdale airport shooting suspect had visited FBI office in Alaska last year, Mark Berman, William Wan and Sari Horwitz, Jan. 6, 2016. An Iraq War veteran who had complained that the government was forcing him to watch Islamic State videos pulled a gun from his checked bag and opened fire Friday afternoon at Fort Lauderdale’s international airport, killing five people and injuring eight, authorities said. The bloody rampage at a quiet baggage-claim area sent people scrambling through the terminals and across the airfield at one of the country’s busiest airports, shutting down all flights for hours while paramedics and federal and local law enforcement officers flooded the scene. The alleged gunman, identified by authorities as 26-year-old Esteban Santiago of Anchorage, was apprehended unharmed. Federal law enforcement officials said that Santiago had told the FBI that the CIA was forcing him to watch Islamic State propaganda videos to control his mind. TruthDig, Report Points to a Pentagon Plot to Subvert Obama’s Syria Policy, Gareth Porter, Jan. 5, 2017. Airstrikes by the United States and its allies against two Syrian army positions Sept. 17 killed at least 62 Syrian troops and wounded dozens more. The attack was quickly treated as a non-story by the U.S. news media; U.S. Central Command (CENTCOM) claimed the strikes were carried out in the mistaken belief that Islamic State forces were being targeted, and the story disappeared. The circumstances surrounding the attack, however, suggested it may have been deliberate, its purpose being to sabotage President Obama’s policy of coordinating with Russia against Islamic State and Nusra Front forces in Syria as part of a U.S.-Russian cease-fire agreement. Normally the U.S. military can cover up illegal operations and mistakes with a pro forma military investigation that publicly clears those responsible. But the air attack on Syrian troops also involved three foreign allies in the anti-Islamic State named Operation Inherent Resolve: the United Kingdom, Denmark and Australia. So, the Pentagon had to agree to bring a general from one of those allies into the investigation as a co-author of the report. Consequently, the summary of the investigation released by CENTCOM on Nov. 29 reveals far more than the Pentagon and CENTCOM brass would have desired. When the commander of the Central Command’s Air Force component, Lt. Gen. Jeffrey L. Harrigan (shown in a file photo in uniform), was asked about the JIC at a press briefing Sept. 13, he seemed to suggest that opponents of the provision were still hoping to avoid cooperating with the Russians on targeting. Gen. Harrigan’s strike worked like a charm in terms of the interests of those behind it. The hope of provoking a Syrian-Russian decision to end the cease-fire and thus the plan for the JIC was apparently based on the assumption that it would be perceived by both Russians and Syrians as evidence that Obama was not in control of U.S. policy and therefore could not be trusted as a partner in managing the conflict. That assumption proved correct. Mediaite, CNN Panelist to Trump: ‘Why Not Stay Silent’ as ‘Intelligence Community Has Information’ on You, Justin Baragona, Jan. 3, 2017. During a panel discussion on President-elect Donald Trump’s adversarial relationship with the intelligence community over the issue of Russian hacking, which continued this evening with a mocking tweet from Trump, CNN presidential historian Timothy Naftali suggested Trump should be careful. Why? Well, because the intel community likely has some dirt on the incoming POTUS. After host Don Lemon brought up Trump’s tweet this evening where he claimed his meeting with intelligence agency heads was delayed while labeling the Russian hacking as “so-called,” Naftali said it was a “bad idea” taking them on. New York Times, Nixon Tried to Spoil Vietnam Peace Talks to Win 1968 Election, Peter Baker, Jan. 3, 2017 (print edition). Newly discovered notes by an aide to Richard M. Nixon appear to confirm suspicions that, while running for president, he was directly involved in persuading South Vietnam to resist a peace deal. 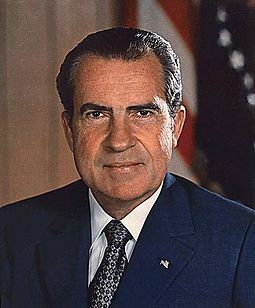 Richard M. Nixon told an aide that they should find a way to secretly “monkey wrench” peace talks in Vietnam in the waning days of the 1968 campaign for fear that progress toward ending the war would hurt his chances for the presidency, according to newly discovered notes. In a telephone conversation with H. R. Haldeman, who would go on to become White House chief of staff, Nixon (shown in an official photo) gave instructions that a friendly intermediary should keep “working on” South Vietnamese leaders to persuade them not to agree to a deal before the election, according to the notes, taken by Mr. Haldeman. Huffington Post, Impeaching Trump: The process begins now, Robert Kuttner, Jan. 1, 2017. Donald Trump is wildly unfit to be president, and he will demonstrate that in ways that break the law and violate the Constitution. Since the election, there have been three wishful efforts to keep Trump from the presidency: a recount doomed by a lack of evidence; a futile campaign to flip Trump electors; and an even more improbable drive to get the Supreme Court to annul the 2016 election. These moves, indicative of magical thinking, make Trump’s opposition look a lot weaker than it is ― at a time when the stakes for the Republic could not be higher. There will also be marches and demonstrations, but they will also look weak unless they have a strategic focus. There is only one constitutional way to remove a president, and that is via impeachment. What’s needed is a citizens’ impeachment inquiry, to begin on Trump’s first day in office. The inquiry should keep a running dossier, and forward updates at least weekly to the House Judiciary Committee. There will be no lack of evidence. The materials should be made public via a website. The inquiry should be conducted by a distinguished panel whose high-mindedness and credentials are, well, unimpeachable. Assassination Archives and Research Center, Publication Spotlight: The CIA As Organized Crime: How Illegal Operations Corrupt America and the World, Alan Dale, quoting book publisher's announcement, Dec. 27, 2016. Author of three books on CIA operations, Douglas Valentine’s research into CIA activities began when CIA Director William Colby gave him free access to interview CIA officials who had been involved in various aspects of the Phoenix program in South Vietnam. It was a permission Colby was to regret. The CIA would rescind it, making every effort to impede publication of The Phoenix Program, which documented the CIA’s elaborate system of population surveillance, control, entrapment, imprisonment, torture and assassination in Vietnam. While researching Phoenix, Valentine learned that the CIA allowed opium and heroin to flow from its secret bases in Laos, to generals and politicians on its payroll in South Vietnam. 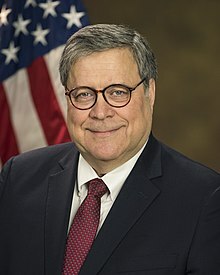 His investigations into this illegal activity focused on the CIA’s relationship with the federal drugs agencies mandated by Congress to stop illegal drugs from entering the United States. Based on interviews with senior officials, Valentine wrote two subsequent books, The Strength of the Wolf and The Strength of the Pack, showing how the CIA infiltrated federal drug law enforcement agencies and commandeered their executive management, intelligence and foreign operations staffs in order to ensure that the flow of drugs continues unimpeded to traffickers and foreign officials in its employ. Ultimately, portions of his research materials would be archived at the National Security Archive, Texas Tech University’s Vietnam Center, and John Jay College. 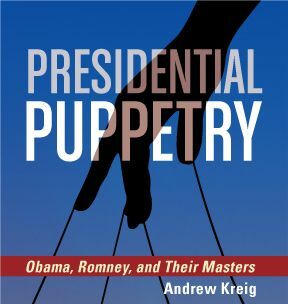 This book includes excerpts from the above titles along with subsequent articles and transcripts of interviews on a range of current topics, with a view to shedding light on the systemic dimensions of the CIA’s ongoing illegal and extra-legal activities. These terrorism and drug law enforcement articles and interviews illustrate how the CIA’s activities impact social and political movements abroad and in the United States. A common theme is the CIA’s ability to deceive and propagandize the American public through its impenetrable government-sanctioned shield of official secrecy and plausible deniability. Though investigated by the Church Committee in 1975, CIA praxis then continues to inform CIA praxis now. Valentine tracks its steady infiltration into practices targeting the last population to be subjected to the exigencies of the American empire: the American people. From 1975 to 1976, the Church Committee in the Senate and the Pike Committee in the House attempted unsuccessfully to curtail the power of US intelligence agencies. The Central Intelligence Agency (CIA), in particular, was investigated to see if it was a “rogue elephant” or under strict control of the President and the executive branch. However, besides some damning revelations outlined in the “whitewashed” report and some minor oversight changes, the “rogue elephant” was allowed to roam free. Anti-Empire Report, What can go wrong? William Blum, Nov. 30, 2016. That he [Trump] may not be “qualified” is unimportant. What counts to me mainly at this early stage is that he – as opposed to dear Hillary – is unlikely to start a war against Russia. His questioning of the absolute sacredness of NATO, calling it “obsolete”, and his meeting with Democratic Congresswoman Tulsi Gabbard, an outspoken critic of US regime-change policy, specifically Syria, are encouraging signs. Even more so is his appointment of General Michael Flynn as National Security Adviser. I think American influence under Trump could also inspire a solution to the bloody Russia-Ukraine crisis, which is the result of the US overthrow of the democratically-elected Ukrainian government in 2014 to further advance the US/NATO surrounding of Russia; after which he could end the US-imposed sanctions against Russia, which hardly anyone in Europe benefits from or wants.